You want to know how organised I am photographically-speaking? 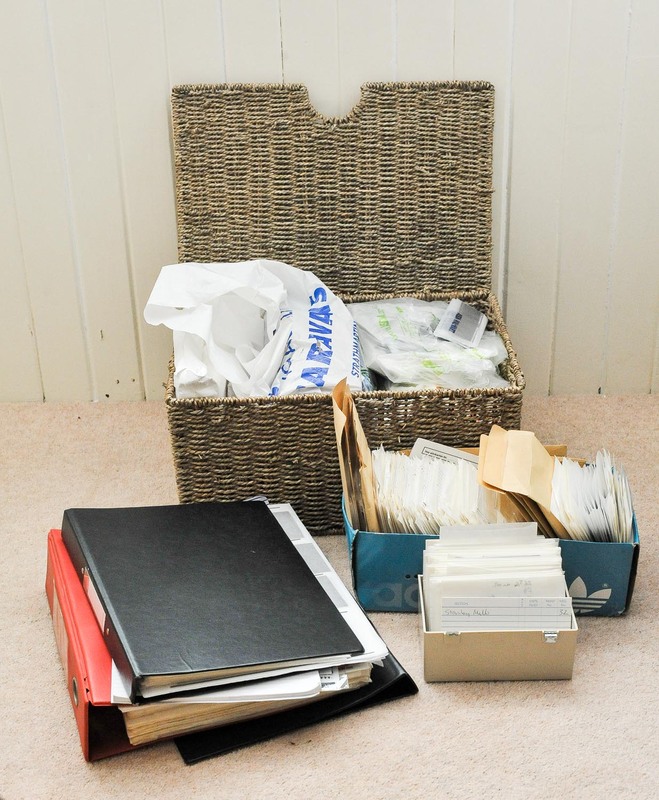 You know those guys who are on top of everything, are up to date with their contact sheets and have a perfect filing system for their negatives? I'm the antithesis of one of them. I didn't know whether or not to put a question mark after the title of this post as it's more of a plea than a how-to. Bluntly, I'm hopeless when it comes to keeping track of negatives. I've got them in binders and boxes in various parts of the house, nothing is catalogued, I hardly ever do contact sheets and it can be an hour before I'm able to locate a particular negative. That's bad but I suspect I'm not alone. At least, I hope I'm not alone. Maybe you're all tutting right now, aghast at my lax methods and dishevelled lifestyle? Well, now's your chance to help me out! As a 35mm, 120 and now 5x4 shooter, life is getting ever more complicated. I'm not too bothered about cataloguing the negatives from my earlier period as a film shooter but I'd like to be able to keep track of those that have accumulated since I gave up digital a couple of years ago. In my earlier film incarnation, I used to cut the 6x9 strips from my Mamiya Press into single negs and store them in 5x4 bags. For each neg I printed from I had a 5x4 index card. I'd record the printing details on that and slip it into the bag with the neg. I don't suppose this is a particularly good idea from an archival point of view as no doubt impurities in the card and ink might well leach out and do untold damage to the neg. Having said that, some ten years after storing them like that, the negs are still fine. So, I'm thinking about using much the same system for everything from 6x6 to 5x4. That would mean cutting my best 6x6 negs into singles but that's OK. I find it a pain lining up strips of 6x6 negs in the enlarger and don't think it's any harder - easier, possibly - setting a single neg in the carrier. However, instead of including an index card with the neg, I think I'll just pop the card behind the neg bag and number both in case the whole lot accidentally spills out onto the floor. If I start now then I'll be able to get on top of things OK. I've only got six 5x4 negs, for example, so even I might manage that workload! That's one of the great things about 5x4: you end up with far fewer negs and those you have are good ones because it's easy to ditch the sub-standard efforts. What about 35mm, though? Please let me have your thoughts on a good, simple and quick way of filing away strips of negs so that I can find them again. I'm guessing that contact sheets, which I hate making, will be a necessary part of the system but I suppose I can make the effort. :) I'm managing just now rifling through neg sheets in the binders but things will be very different in a year or two. I know the "neat freaks" out there will have sussed it all out by now so it would be great if you can share your methods in the comments. such disorganisation is killing my mind! i have a sticker which i put on my negative sleeves with date, film number, camera used etc (b&w, side and negative films are organised in separate folders). then each film is given a contact sheet and has an excel table attached with exposure information. then when i make a print, the film and frame number is recorded on the back of it. that way if i want t reprint a negative i know exactly where to look. I use these pergamin sheets to put them into a folder with a contact print (either traditionally or digitally produced) before the negatives. Plus a side for additional information. I have a pile (binders, actually). None of it annotated or marked. It's pretty much in chronological order, and I don't shoot such large volumes, so I can figure out about where I should look if I know around when I took it. Which I know, since I scan all negs and know how old the scanned files are. I'm one of the neat freaks you describe, but only after having a 'road to Damascus' moment when I genuinely lost a load of 5x4 negatives that I had made on a trip to northern Norway. I was so disorganised I had negs everywhere, lying out open across the darkroom etc etc and I think had them lying in a pile of papers ready to put into the bin and did just that. I also managed to scratch quite a few and was spending hours armed with a spotting brush re-touching prints. Just seemed sensible to sort this out, and inevitably it's saved me a lot of time in the long run. All negs go into dedicated poly neg holder pages, be that 5x4,120 or 35 mm. These are then placed into A4 sized clear plastic envelopes (closed on 3 sides, opening at the top) that are pre-holed and placed into ordinary office type ring binders. The ring binders and plastic envelopes are just from the local stationary shop, nothing special. Not exactly archival, but clean. The beauty of using the A4 sized clear plastic envelopes is I can also put in there a contact sheet and any notes on printing. The ring binders sit up on the bookshelves, one row for 35mm, one for 120, and the other 5x4. It's pretty much the cheapest method I could come up with. I usually shoot 35mm and some medium format. I store them in glassine sheets which I keep in ring binders, I do not separate medium format from 35mm as at this stage i don't have much of the former. I keep them in chronological order, I annotate a code on the holes strip of the glassine sheet which I also write down on the back of contact sheets and on the albums I make with prints. Simple as that. The code is in the form year-month-day-roll_number, for example 20131126_1. The prints are identified by the same code plus the frame number. Knowing more or less the period of the photograph i'm looking for I browse the contact sheets and it's easy for me to find it. Similarly I can browse the binders. I assign the code in the moment I load a camera annotating it in the small notepad I keep in my bag. I also keep an index card for each glassine sheet in a binder, where I annotate the film development data and basic printing notes. I file 35mm and 120 (6x6 and 6x9) in the Printfile sleeves. Right now, I have one binder for 35mm and one for 120, with a numbering scheme common across both, but I'm contemplating a switch to separate color and B&W binders with their own numbering schemes as my process is vastly different for color vs B&W. Prior to my darkroom coming into service, I would scan whole strips through the sleeve, combine the scans together into one image and use that as a digital contact sheet. Now that I have a darkroom, I'm moving to where my color film stuff is mostly my "better" family snapshooting, while B&W is mostly for serious arty-farty work. My color film is handled by hybrid process: I've started doing full scans of the entire roll, eschewing the contact sheet entirely. It doesn't take any longer than making the contact scan then having to go back and make full scans of most of the negatives anyway. I'll delete the failures, figuring I'm unlikely to revisit them and if I ever decide I want to I can just re-scan them. They all get keyworded and filed in a suitably named folder on the computer (I HATE this part of it, but it's a necessary evil). For B&W, I go the other way, make a contact sheet on paper and file it in a separate binder. I love being able to flip through the sheets quickly to pick out a candidate for printing. Unfortunately, because I'm just starting in that process, I have a large number of rolls which have the old digital contacts, but no printed sheet yet. My solution to that is to make contact sheets as I need them for the older negatives. I don't shoot huge volumes, which helps in both processes. However, my biggest organizational hurdles are that I stink at time management and thus always have a backlog of film to develop and negatives to contact print; and that I keep making major breaking changes to how I organize and process! The most important photographic thing is a notebook Bruce. I always make the effort to detail everything I do. I note exposures for MF and LF whilst out with the camera and transfer to book when I get home along with developing details. Right, now the hard stuff. You need to contact print. No need to cut your MF negs into individual frames either - you'll lose them. Store 35mm in Clearfile or glassine, give the film a number (I use: 35/1 . .35/2 . . 35/3 etc) note this on the bag. Also note date, film and developer. Then make a contact on a sheet of 8x10 and note same on back. This applies just as much to all other formats. Store negs in proper folders like you get from Silverprint (not cheap, but superbly well made); store contacts in printing paper boxes. You've got a system that works, and above all else it is easy to find things. As for printing details - make a master print of every print you are really happy with and note all printing details on the back in very soft pencil. I note exposure, lens, f stop, paper, grade and date. Again you've got a system that works and you can easily replicate a good print if you are so inclined. It's easy to do but it requires a bit of thought and organisation . . . and of course plenty of time! I cut my 35mm rolls into negative strips and place them one roll at the time into a glassine sheet. On the glassine I write down the date, subjects I've photographed in general terms, film used, EI and developer used and a up/down mark if I'm happy or unhappy with my developing recipe. Glassine sheets are stored in a chronological order. I never make contact prints because 35mm contact images are too small for anything useful IMO. Instead, I just scan a few of my best shots for each roll - more often than not just one or two images per roll - and save these images accordingly with with my glassine neg sheets (date and subject is enough for me). I use the scanned images as a guideline for my stored negatives. Usually I just need to loosely remember the year like 'it must have been before 2003 but later than 1998' to find an image on my computer very fast which leads me into the right set of glassine sheets. After taking each picture (or after a series) I create a waypoint on my GPS, so I have a place, date & time recorded. The name of the waypoint is the ID of the picture (like LF/0095). The same ID I write on the negative sleeve (I use those made by Hama), together with a short description. When I collect a bunch of new pictures, I scan them and name files with IDs. I store negatives in Hama sleeves, each sheet is marked with film ID (like C/35) which is just a sequence number. No contact sheets since few years, I scan the whole film and store the files in a folder named with film ID. Bruce you are definitely not alone! I too am somewhat organizationally challenged, but I like many of the ideas offered by others, and will be applying them to my negative collection. Thanks!